You’re expecting! What a joyous occasion, you’re soon going to have a mini-me, they’re going to be so cute, they’re lives will already be laid out for them, and you get to buy all the cute things for them to grow into. Once of my favorite parts were buying all the essentials for the baby like the crib, one that they’ll grow into and will be in there lives for a long time. One you have your first kid their crib will be there’s, but then when a second kid comes around your out of a crib or need to now move on to a toddler bed for big sister. I was in this exact predicament. Do I get a toddler bed or get a new crib? who actually won the crib and decided to gift it to me after winning it at a Momtrends event. Convertible cribs or combo cribs are great and convenient, but for someone like myself who lives in a NYC two bedroom apartment that’s just a far-fetched dream. This Synergy 5 in 1 convertible crib from Dream On Me is the perfect fit for our place. The Synergy is not bulky and is the perfect convertible crib to follow your baby from crib to full size bed (bed rails sold separately). Not to mention that it comes in various colors and will fit perfectly in any decor. 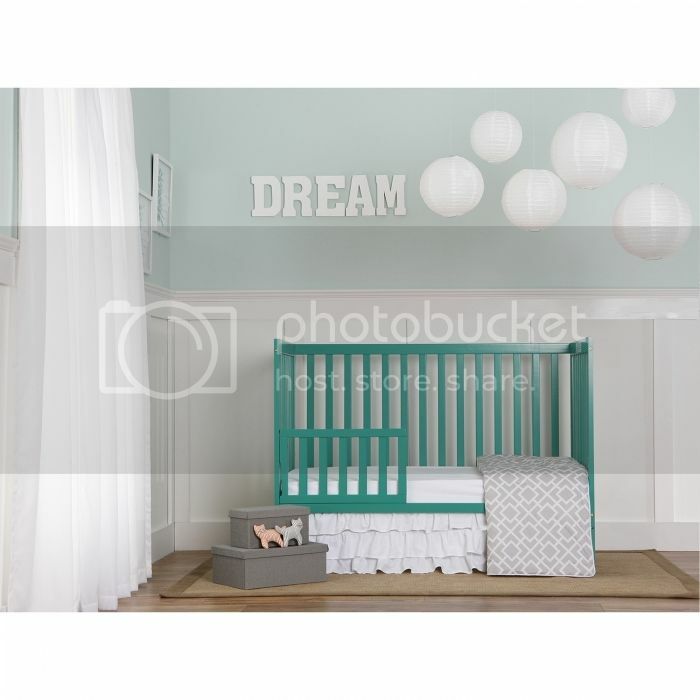 I picked out the emerald crib because I love bright colors and once I paint my daughter’s pink room to a neutral friendly color it will look superb! Which color did you like on the Dream On Me website? I’ve read some reviews that a standard crib mattress does not fit snugly in this crib. Did you notice any gaps between the mattress and sides of the crib?